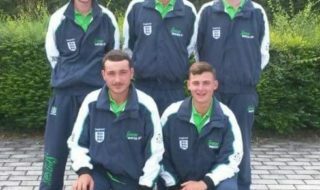 Preston Innovations World England Feeder team has been crowned World Champions for the second consecutive year after finishing half a point ahead of nearest rivals France. Netherlands hosted the 5th FIPS-ed World Feeder Championship and the event took place on the Ghent/Terneuzen canal on the 11th and 12th July 2015. Consistency in squad selection has played a major part in the teams achievements in recent years and following a stellar 2014 which resulted in team and individual accolades, the squad for 2015 was retained. Tommy Pickering led the team ably assisted by Glenn Lawrence, Eddie Bridon and Will Freeman while the squad consisted of brothers Steve and Phil Ringer, Mick Vials, Adam Wakelin, Dean Barlow and Rob Wootton. Day one proved to be tough fishing for all the team and often a single fish was enough to score well. 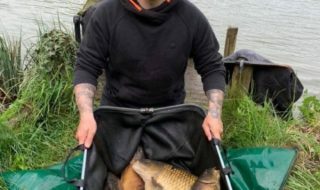 Mick Vials once again proved to be the man for the big occasion as a single fish was enough to claim second place in his section and went on to finish with an individual bronze medal, his second consecutive podium finish at the World Championships. Day one finished with England, France and Hungary all tied on 14 points. Day two promised to be a tense and tight affair with current World Champion’s England and the much fancied French team tied on 14 point and so it proved as the match went to the wire. With ten minutes remaining England looked out of it but the team kept working hard and over in D section, the Swedes and Belgians did England a favour as they each caught 1kg mullet to raise their standing in the section and in the process take points away from the French team. As time wore down to the final minutes of the event, Adam Wakelin’s persistence paid off as he caught a skimmer to lift him from sixth to second in his section, winning valuable points for the team and it was enough to secure victory from the jaws of defeat and gave England their second consecutive World title. 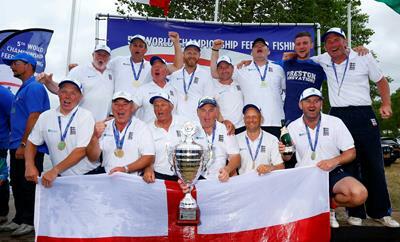 With the top 8 anglers all sharing 3 points a piece, weight decided who would win the medals. Gold went to Jose Evangelista of Portugal with 11.401 while Russia’s Alexander Osipov took silver medal with a weight of 6.155 kilos while Mick Vials of England secured a bronze medal and his team mates Phil and Steve Ringer placed in 4th and 7th respectively. 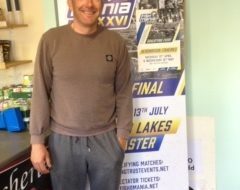 “It was an incredible finish and at the end I thought we had a silver medal, then the message came that Adam Wakelin had a 2 lb bream with 5 seconds to go and the Danish angler had a mullet to take a point off the French and Mick Vials was second when we thought he was third, so we gained 5 points in the last few seconds, wow was it exciting. Our tactics were to fish two lines, 25m and 39m, to start on 39m for as long as possible and change to 25m to see if we could catch a bream, and also rest the long line, the first cast every time on the long line was the most important cast as that’s when you got a bite. If you got one in the last hour we then took our long clip off and added four meters and that usually got a bite. It was a tough venue where patience was the most important thing and hearts of steel which my men have. The Angling Trust would like to thank the team sponsors Preston Innovations for all their support and offer their congratulations to the Feeder Team for their fantastic gold medal win.